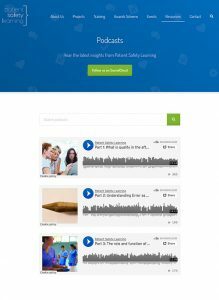 The following podcasts feature CHFG Trustees and supporters including: Martin Bromiley, Dr Rhona Flin and Dr Peter Jaye with other patient safety experts discussing patient safety. A fictional case study illustrates how healthcare responds to a family seeking the truth after care goes wrong. The negative effect of framing investigations as ‘complaints’, the missed opportunity of listening to and utilising patient and family insights to help understanding and the impact of organisational pressures that affect the duty of candour are discussed. The recognition that human error is normal and common has challenged the notion that competent professionals don’t make mistakes. The need to look beyond blaming the individual and to examine the effect of the system on how individuals behave is discussed with caution that a balanced approach that recognises a system approach and personal responsibility is needed. The challenge for the NHS to be open and to learn from mistakes continues. Seeking individuals to blame does not help us to understand why things go wrong – yet there are still inconsistencies of approach to investigation and outcomes within the NHS. The need for ‘fair and just blame’ not ‘no blame’ is discussed and comparisons drawn from high-risk industries where the need for both strong systems and conscientious, well-trained, safety aware individuals is recognised.